Show off your products in style. Present a glamorous metallic sales sheet on your counter or give them away at a trade show. This popular marketing tool (also referred to as a sell sheet) gives a quick, comprehensive view of your products. A metallic finish gives your sales sheet printing an instant edge over everyone else. You can apply a glimmering metallic accent on your product images or highlight a few lines of text. Metallic printing works on a wide range of colors, such as red, gold, and silver. Lighter colors have the most prominent shine. Print metallic sales sheets your customers can bring home from a conference or meeting. 4” x 6” is our smallest option available; perfect for highlighting a newly launched product or service. 5” x 7” has enough space for one main or a few images and several lines of text. Use the space to shift a customer’s focus on a highlighted product features or a few items from a product line. 8.5” x 11” is the most popular size and largest size available. It has enough space to feature several products or provide comprehensive information on your service. Choose between two coating options that complete the product sales sheet’s professional look. High gloss UV coating gives colors richer details and has a stunning, high-reflective shine. Uncoated has a more understated, elegant look that works best on rustic or classic designs. All orders are printed on durable 16 pt. cardstock, which is our most premium material available. With almost half the thickness of a standard credit card, it has no problems bearing the weight from high gloss UV coating and metallic printing. 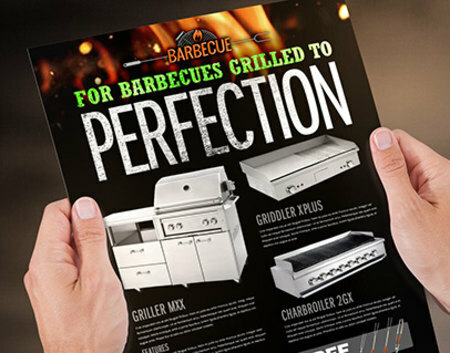 Complement the metallic sections of your sales sheet design with spot UV printing. This method applies a shiny high gloss coating to specific areas on your design. Unlike the regular high gloss coating, spot UV gives images or text a varied texture against the surface. Feel free to add this on one or both sides of your product sales sheet. Upload your design or use one of our sales sheet templates to get started. Our print experts are available to answer any questions you have on metallic sales sheet printing. How should I prepare my sales sheet for metallic printing? You will submit two versions of files of your metallic sales sheets: the standard CMYK and the silver foil mask file. The mask file shows us where to print the metallic layer. Apply 100% K or black to the metallic area and color the rest of the design in white. What are the file requirements for spot UV printing? You will include a spot UV template file with your regular full-color file. Indicate the spot UV portions with 100% K and mark the areas no spot UV as white. How long will it take to process my metallic sales sheet? It takes 7 business days to produce a metallic sales sheet order. To find out when your order will arrive, select “Get Shipping Estimate” on the online calculator and enter your ZIP code. Use our Metallic Sales Sheets layout templates to ensure your artwork is sized and formatted correctly. PrintPlace.com layout templates can be downloaded for each standard size label below. Less is more. Apply the metallic accents on one or image or a few lines on your sales sheet. The shine draws customers to a product image or information you need to highlight. Keep everything readable. If you plan to apply metallic printing on text, use only Sans Serif fonts above 12 points. Anything smaller will be too difficult to read. Be clear about your product benefit. Every aspect of your sales sheet, from the images used, text, to brand colors, must convey the benefit statement of your product or service. For example, an online shopping site can add shiny metallic accents to highlight discount deals.